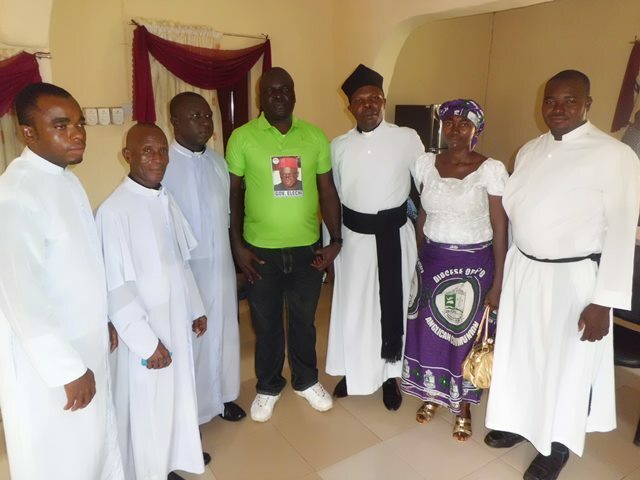 The leadership of the Anglican Communion in Ohaozara Arch-Deanery recently visited the Coordinator Okposi Development Centre, Nze Magnus Eze and assured him of their continued prayers to ensure the sustenance of the current moral and social revival going on in Okposi since his appointment as Coordinator. Leader of the team, Venerable Chimaobim Onyenagbagha said they subscribed to the Mezie Okposi crusade because it is in line with the teaching of the Church (Bible).They prayed for the success of the Coordinator and his Administration; and finally presented him with a Holy Bible; and a book authored by His Lord Bishop Udeogu of the Afikpo Diocese of the Anglican Communion. Nze Magnus reiterated his avowed commitment to promoting public good and being fair to all. He also thanked the clergy and the church for their continued support.